On 6 June 2016, the Foreign Affairs Committee held an exchange of views with the President of Georgia, Mr Giorgi Margvelashvili. „2016 is an important year for Georgia. 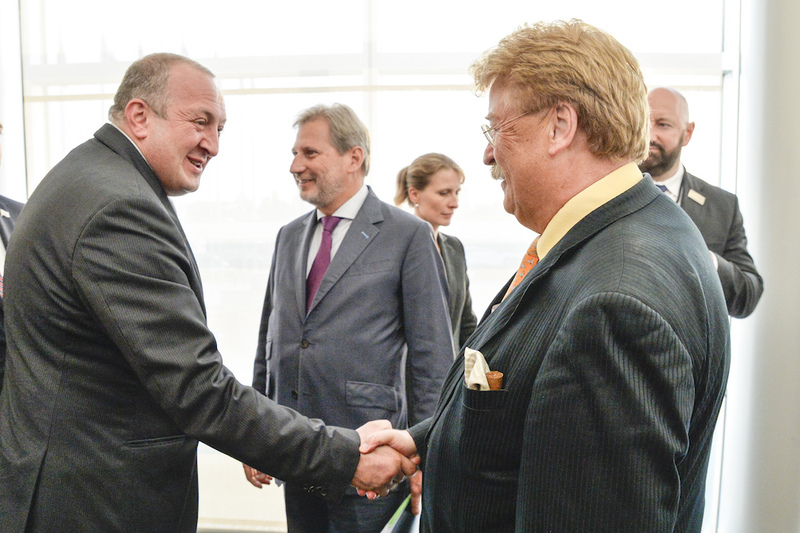 EU-Georgia relations are continuously developing with the continued implementation of the Association Agreement and the impending visa liberalisation for the citizens of Georgia. 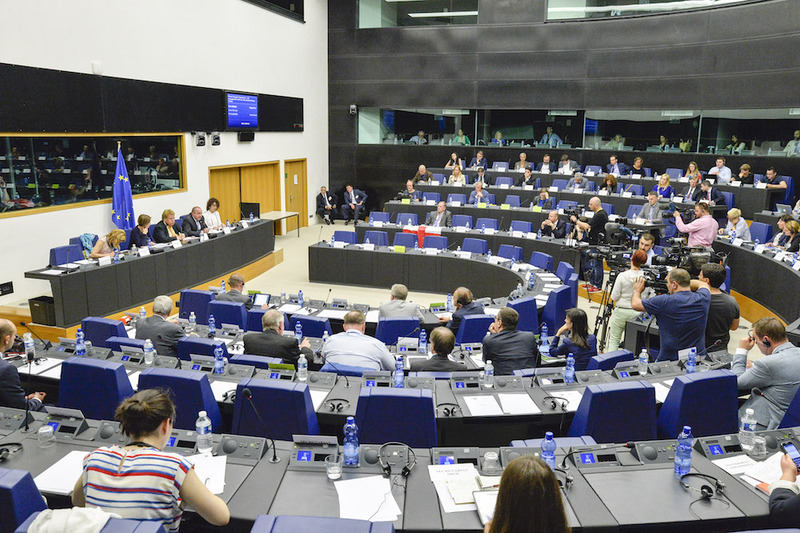 The European Parliament and the Council are discussing in parallel the legislative proposal from the Commission, and will carry out the necessary steps in the legislative process to have it adopted. Moreover, the upcoming elections scheduled for October 2016 will be an important litmus test for democracy in Georgia. They need to be conducted in respect of the highest international standards. Of course this does not refer to the election day only, but the whole environment before and during the campaign, on election day, and after the elections. Only last week, the OSCE/ODIHR published a Needs Assessment Report. Whereas a number of issues were assessed positively, the Report also notes concerns, including that „several political party representatives noted potential limitations in their ability to campaign freely, citing concerns over pressure on candidates and their supporters and holding meetings“ and that the „upcoming elections will take place against a backdrop of political tension affecting the pre-electoral environment, including ongoing legal disputes concerning the country’s largest private broadcaster and a recent release of surveillance videos of high-profile individuals“. 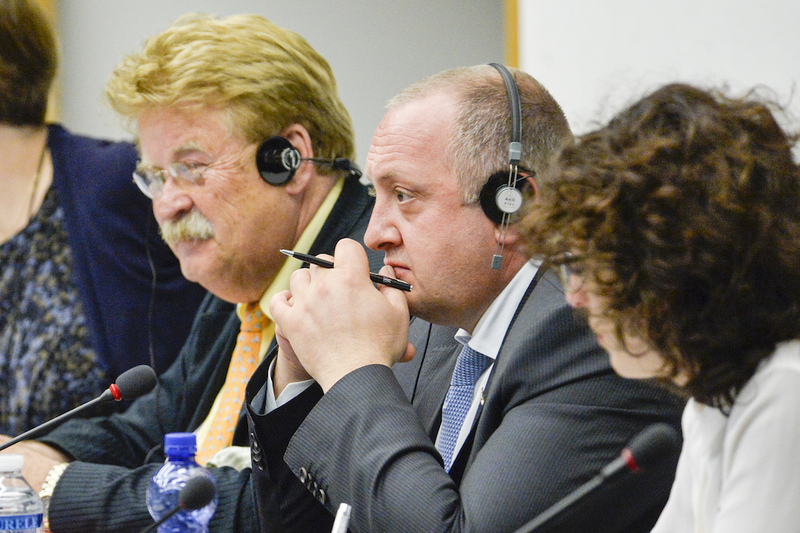 The reform of the justice system remains a priority for the EU, and there are still some concerns regarding cases of politically motivated justice. Also, we had expressed our concerns regarding the attacks to the Constitutional Court, both through pressure and intimidation. We welcome your work as a guardian of the Constitution, and in particular your recent veto to the amendments on the Constitutional Court that were deemed problematic by the Venice Commission. It will now give the Parliament the possibility to open a new discussion on the bill, following the guidelines of the experts of the Venice Commission“, the Chairman concluded.